Rest Days | Mediterra - Swim & Run Better Than Ever! At a recent workshop a swimmer showed me his extensive record (on a long computer print out) of all the practices he has completed this year – it appeared to cover every day of the last 4 months. He was quick to acknowledge the impression it made by noting that perhaps he should have included a few more rest days! I replied that rest has many forms. Rest doesn’t mean you must stay away from the pool. There are different systems in the body and they benefit, or rather, for optimal health and performance they depend upon rest that is suitable to that system. For example, the muscular system need time to repair and grow more cells. The cardio-vascular system needs time to build more capillaries. The metabolic system needs time to flush waste and replenish fuel supply. The neurologic system needs time to adapt and insulate circuits. The mental system needs time to review feedback and refresh the vision. The emotional system needs time to reconnect with core motivations for swimming. We need it when we are young, though we don’t feel the consequences of neglect so quickly. But when we get older we do. And the older we get, the more time and care we need to give to letting these systems rest and recharge. The younger we learn this the better off we are when older. But this does not mean that Rest = No Activity. It does not need to be ‘Practice versus Rest’. It does not simply mean GO/STOP, YES/NO, or ON/OFF. Consider that our heart and lungs NEVER rest in this sense. They just change the intensity of work. And the brain is never turned off, even when we sleep. Various parts of the brain just shift into different modes and levels of activity. Rest needs to include the concept of change, or variation. Change of pace, change of direction, change of intensity, change of focus. It also needs to recognize that vital activities are happening in those systems even when we aren’t pushing them at normal intensity levels. Peak performance is only achieved because the right kind of rest has been permitted. In a very practical sense as a swimmer, if it is not inconvenient, we really don’t need to take a day away from the pool (or sea, in my case) at all. But it may be that once or twice a week we should just get in the water and do relaxation work, or fine tuning drill-work that doesn’t strain the muscles nor raise the heart rate, nor push our ability to focus. This can be a way to make progress in skills or at least maintain levels even when the immune system is taxed or when an injury has slowed us down. And we can rest one system while challenging another. We can build rest for certain systems into any and every practice day we schedule! We can even design practice sets that ease the challenge on one system while increasing it on another. Rest can be static or it can be active. A rest interval can mean you stroke gently for 25 m, or do backstroke instead of freestyle, rather than sit at the wall for 5 breaths. What if you had an injury or illness that restricted one or a few of your body’s systems? This doesn’t mean that it must restrict all of them. Find a way to work the systems that are free to work, while giving rest to those that need the rest- a certain kind of rest, that is. Knowing how to integrate abundant rest, and the various kinds of rest, into the training season, into each week, and into daily practice is one measure of a wise athlete and a measure of a wise coach. It shows that they understand and respect the way the body and mind reach optimal health and performance. 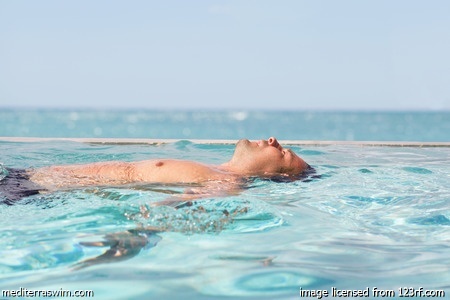 As a self-coach learning the multi-dimensional nature of rest, and the body’s feedback directing you toward it, is a key to maintaining your love for swimming and keeps you on the path to vibrant health and fitness. Go get some rest! And enjoy learning how to do it.